This is an innovative study of middle-class behaviour and property relations in English towns in Georgian and Victorian Britain. 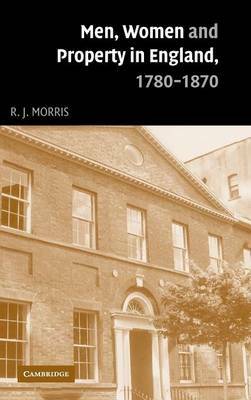 Through the lens of wills, family papers, property deeds, account books and letters, the author offers a reading of the ways in which middle-class families survived and surmounted the economic difficulties of early industrial society. He argues that these were essentially 'networked' families created and affirmed by a 'gift' network of material goods, finance, services and support, with property very much at the centre of middle-class survival strategies. His approach combines microhistorical studies of individual families with a broader analysis of the national and even international networks within which these families operated. The result is a significant contribution to the history, and to debates about the place of structural and cultural analysis in historical understanding.